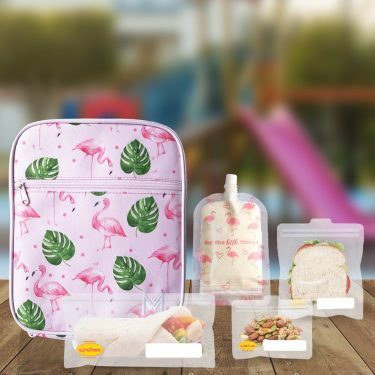 This Sinchies accessories bundle makes filling and cleaning your pouches so much easier! 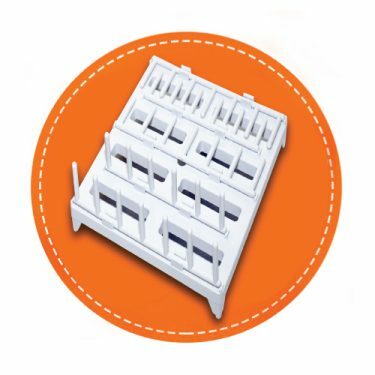 We also have the best drying rack for reusable pouches! Please note that we are out of stock of the cleaning brushes which are usually in this image as shown – We have adjusted the price of this kit to exclude the cleaning brush. 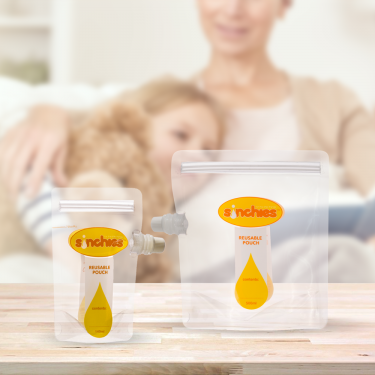 This Sinchies accessories bundle makes filling and cleaning your Sinchies reusable pouches so much easier! This 4 in 1 bundle gives you everything you need to fill and clean your pouches with ease. Cleaning – The Cleaning brush has an neat little teat brush tucked up at the bottom of the brush which is perfect for cleaning the spout and any nooks and crannies. The brush features bristles all the way around which is great for cleaning right down the bottom of the pouch with a twisting motion. The cleaning brush also comes with a cool little suction base so the brush can stand up and air dry. The brush can also go in the dishwasher. 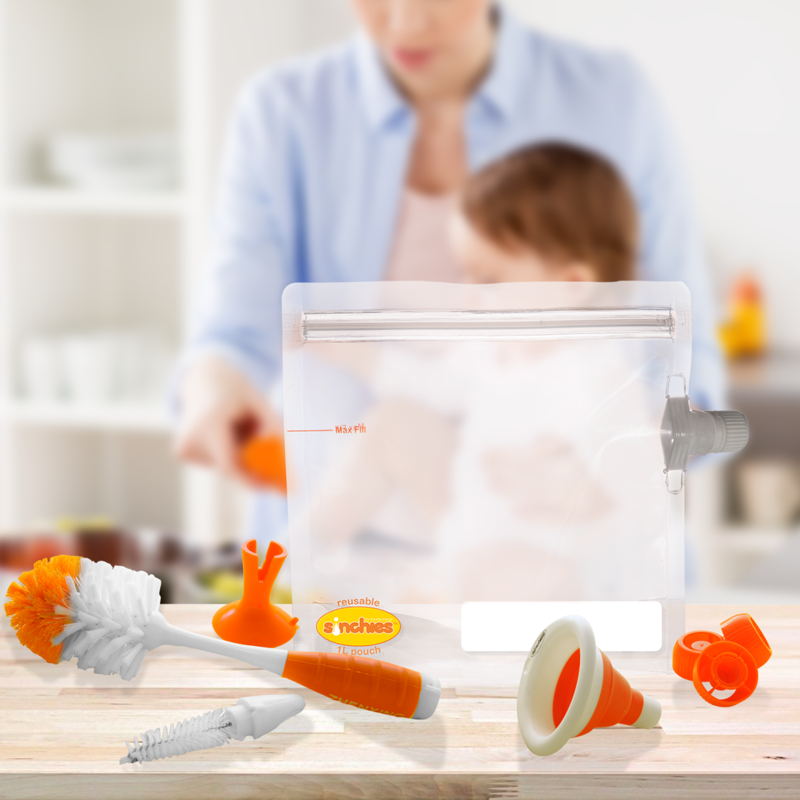 Filling – The Collapsible Funnel is compact and great for filling pouches up with baby food puree, smoothies or anything runny. Simply pop it open and get filling. For thicker foods and yoghurts the 1L pouch is so much better, simply pour your mix into the 1litre pouch and squeeze. Drying – We do have a drying rack available which is hand made and made in Australia but due to the price point of it we haven’t added it to this accessories bundle. If you would like one – you can find them here.